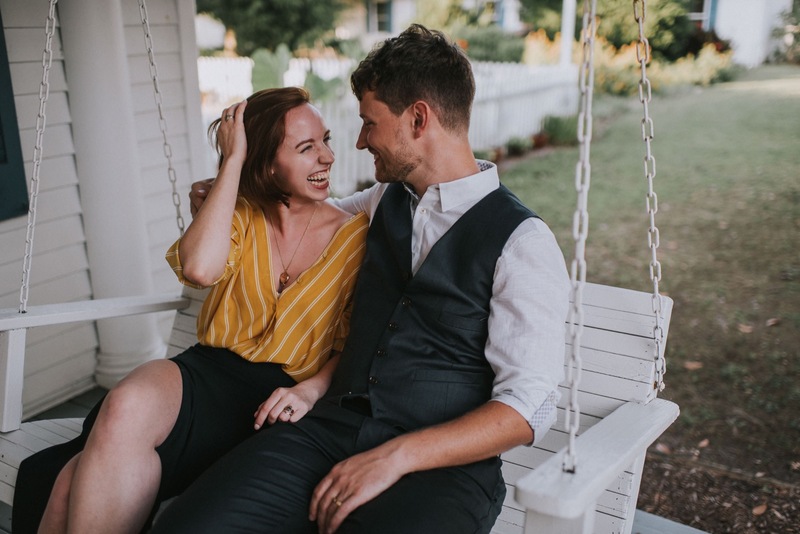 These two were planning a very intimate wedding on the Chesapeake Bay at the Inn At Tabbs Creek - literally only their families present - and wanted the actual celebration to be entirely experienced and personal with no documentation. So Kat + Brian hired me for something a lil non-traditional that I loved on a deep level: pre-wedding, sunset portraits at their wedding venue the day before everyone else arrived. We traversed the grounds together, soaking in the fall sun, and just literally ballroom dancing all around the Inn’s property. They were completely natural in front of the camera and were basically one, connected body of movement the entire time we were together. Let’s just say I wish I could dance like them. This was a real beautiful evening on the water. Also. Just a very random, fun informative fact: never leave your black camera bag on the banks of a bay. You’ll experience a tiny crab invasion as they try to harness the power of camouflage. We died of a mixture of laughter and fear (there were like 100 of em!!). Without further ado. Here is the story of this pre-wedding portrait session in the setting sun at the Inn at Tabbs Creek.